Jose Mourinho has promised Gareth Bale that he would win the Ballon d’Or if he joins Manchester United. 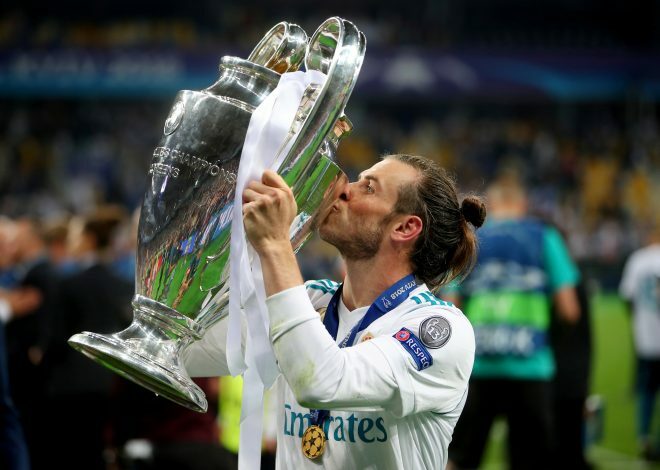 After Real Madrid’s Champions League win, Gareth Bale expressed his desire to play at a club where regular game-time would be guaranteed, thereby hinting at a possible summer departure. Jose Mourinho is a huge fan of the player, and has always wanted to sign him, which is why the Red Devils seem to have stepped up their interest in recent weeks, as they look Bale’s services this summer. The Wales international won’t come cheap, but reports suggest Manchester United are ready to spend as much as £200 million to land Bale this summer. Bale had issues with Zinedine Zidane, and there were reports of a rift between them, as the latter didn’t rate the player high enough. The Welshman felt like he was left out of some games despite being full fit after recovering from injuries. However, Zidane has since departed from Real Madrid, and the chances of Bale leaving have thereby diminished. Moreover, Florentino Perez is also keen to keep hold of the player. But United have continued their attempts to lure him out of the Bernabeu. According to journalist Eduardo Inda, Mourinho has contacted Bale and promised him that he could win the Ballon d’Or at the Theatre of Dreams. “Mou has given an argument to Bale, who loves him. Mourinho said, ‘Gareth, with us, with me, you will be once and for all the Golden Ball [win the Ballon d’Or],'” revealed Inda. Mourinho has been busy this summer, with the Reds having already finalized moves for Fred and Diogo Dalot in the space of three days, whilst also looking to improve other areas at the moment. But their key targets will be busy at the upcoming World Cup in Russia. During this period, Jose will be looking to make a move for targets that are free. There are meetings likely to be held between Bale’s representatives and the United officials in the coming days over a possible move before the start of next season.